Do Wealthy People Need An Emergency Fund? We all experience emergencies at some point or another, right? Unfortunately, 62% of Americans can’t cover an unexpected $500 car repair, according to Bankrate. The need seems so prevalent to those who are already strapped for cash, but what about the ones who aren’t? Do wealthy people need an emergency fund, too? It all looks so glamorous on the outside. Flashy cars, big houses, and trips all over the world. However, financial problems don’t plague just lower-income members of society. As you’ll see in this article, they happen to America’s affluent population, as well. Even those who make massive amounts of money can overspend and choose not to save. Most wealthy people know it is wise to save money, but living within their means is just as important as it is for the blue collar worker with a family to feed. 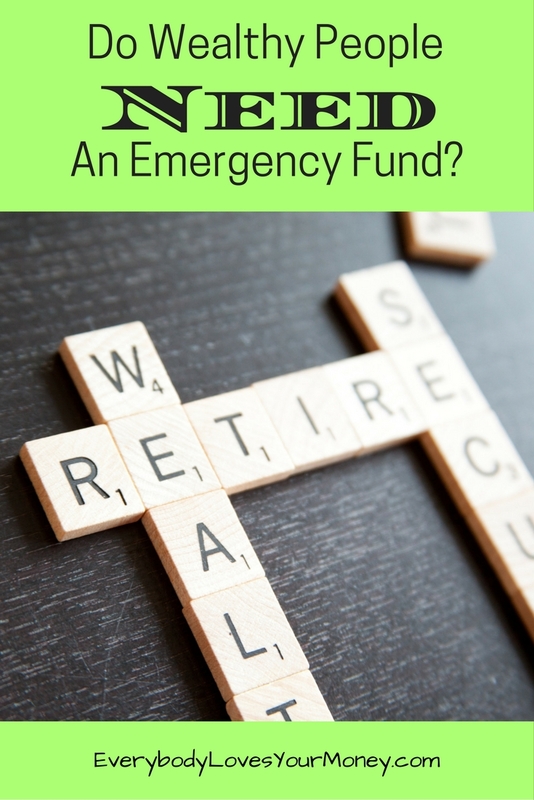 Financial advisor, Dave Ramsey, is a firm believer in everyone establishing an emergency fund. Why? He may be worth millions today, but 20 years ago, he lost everything to bankruptcy. After hitting rock bottom, he started asking rich people how they handled their money. Ramsey learned that an emergency fund was definitely part of the plan. With that, he started putting into practice everything he teaches today in his popular class, Financial Peace University. To learn more about how the Financial Peace baby steps worked on helping me becoming debt-free with a fully funded emergency fund, read here. We’re tackling the question: Do wealthy people need an emergency fund? I’ll go ahead and say it on the record: Yes. An actor never knows if a big budget film will bomb. An investor never knows if the stock market will crash. A celebrity will never know if a personal mistake will cost him millions in revenue. Even celebrities overspend, lose investments, and make mistakes. Sometimes they have poor financial advisors or crooked managers. Sometimes…they make their own bad decisions. And sometimes wealthy people lose it all. They build a cocoon around themselves, then a business deal goes sour or the economy implodes, and their safety blanket goes up in smoke. For example: Iceland’s second-richest man losing out on one investment and plummeting $1.4 billion in the hole. Allen Iverson earning $154 playing in the NBA and losing so much money that the court ordered his wages to be garnished in order to settle an $860,000 bill to a jeweler. Sometimes, it’s an unexpected collapse of an investment. Sometimes, it’s the volcanic eruption of a bad habit. In the end, it doesn’t matter how rich or poor you are, everyone needs an emergency fund. No one is immune to financial problems. We are all human, we all stumble, and we all need financial peace of mind. Save $1,000 for a baby emergency fund. Build a 3-6 month emergency fund. Using these steps as a foundation will put you on the path to financial peace – no matter your income level. If someone gave you $1 million tomorrow, how much of it would you save for emergencies?